Germany is one of the best countries to visit no matter what kind of traveler you are. From incredible metropolitan cities like Frankfurt, Hamburg, and Berlin, to gorgeous small and historic towns like Spenge, Hannover, and Bremen, this iconic European destination has something for every taste. Celebrations like Oktoberfest, Karneval, and German Unity Day are perfect for learning more about German culture and getting closer to German people, who are typically friendly and open. For those traveling on a budget, Germany offers amazing deals and hidden gems that will blow your mind. Some are mainstream and well-known, while others are a little more off the beaten track for travelers looking to dodge the crowds. This great city is often overlooked by tourists and visitors who are not from Germany. 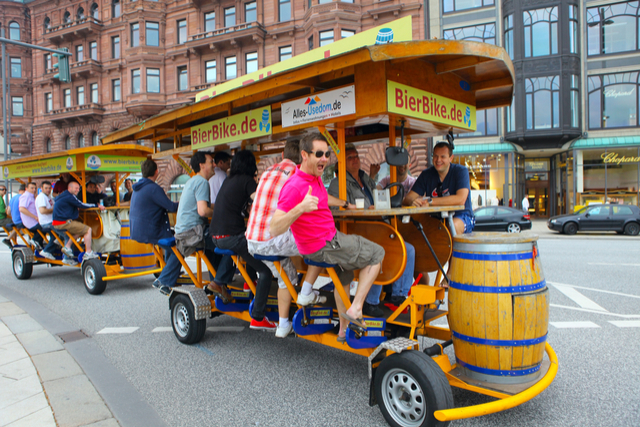 However, Germans know good value when they see it and Hamburg is a one-stop place for a wonderful and exciting trip. As far as people looking for a great party and a lively nightlife, Hamburg is filled with clubs, bars, and restaurants for every taste and every budget. If you´re into culture, Hamburg is packed with historic sites and museums such as Kunsthalle Hamburg and the Internationales Maritimes Museum, among others. Finally, for entertainment for the entire family or an adrenaline rush, visit Miniatur Wunderland or Heide Park. All this can be done while staying at one of the many accommodations offered in the city that will cover all ranges of budgets. 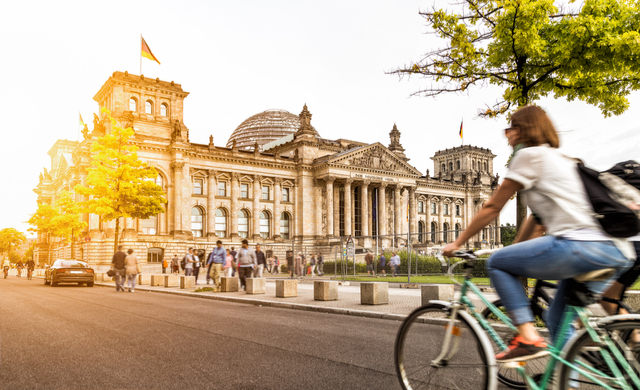 Berlin is experiencing extraordinary growth as a vacation destination. This town has a rich history and culture that make it one of the can’t-miss stops on any Euro tour. When you arrive you’ll notice right away that Berlin is truly opening its arms to visitors. It offers a huge array of options to eat, sleep, and have fun that can work for every budget. The city’s transportation system and walkable areas are perfect for seeing sites under budget. For instance, historic landmarks like Brandenburg Gate, Checkpoint Charlie, and Alexander Platz, among others, are easily accessible and great to visit. leaving enough cash left to enjoy the culture, gastronomy, and lively nightlife the city has to offer. While in town, don´t forget to visit such sites like the stunning Allianz Arena, and the BMW Museum. 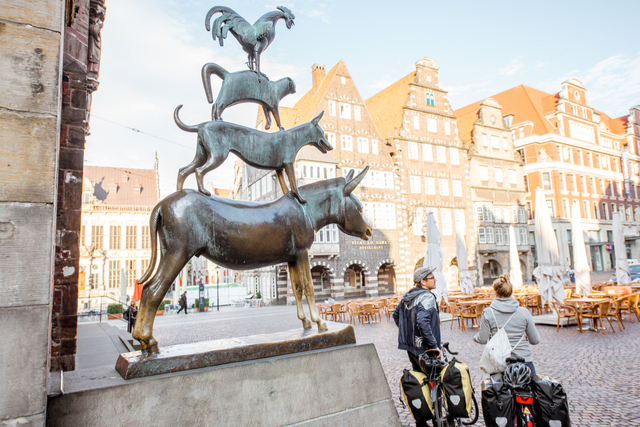 The city of Bremen is mostly known for its maritime trade and commerce, and for the famous fairy tale about the Town Musicians of Bremen. Visit the statue while in town for a great photo opportunity! The city is filled with picturesque buildings in the downtown area where there are also plenty of options to enjoy local food and culture at a reasonable price. Complement this with a wide variety of places to stay that includes hostels, hotels, apartments, and more. 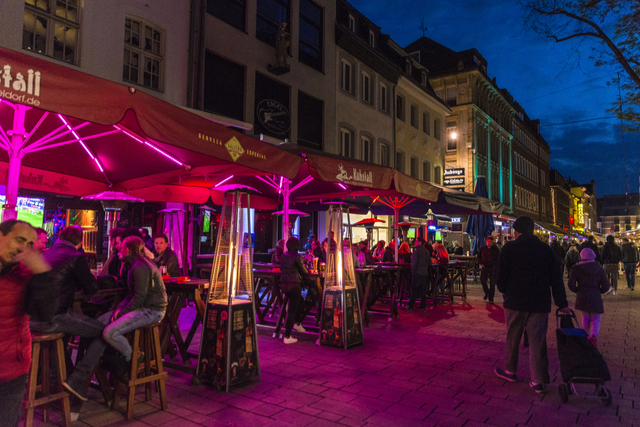 Probably the best destination on this list for travelers looking for great deals that fit into their budget, Dusseldorf is filled with entertainment, dining, and sleeping options to accommodate even the tightest of budgets. For starters, one of the main features of the city is the abundant pubs, modern and ancient breweries, and clubs located in the Altstadt district. This option alone can provide fun activities for a few days. However, the town is also packed with museums, parks, and shops that are perfect for finding the best deals for all kinds of visitors.